This is a very roomy and spacious bag. You can make it even bigger if needed by removing the side closures. And check out the groovy charms! The inside has two pockets and a removable bottom (it keeps the bottom of the bag sturdy and able to stand up and can be removed if you ever wanna wash the bag). A must for me is the outside pocket. So easy for me to grab my keys or phone. The straps are very sturdy and long. I have had no problems with this bag sliding off my shoulder as I do with most of my other handbags. That can be so annoying at times. A very well made bag and worth every penny!!! If you haven't heard of Etsy I encourage you to go there and browse around. It's the largest online marketplace of goods, old and new. 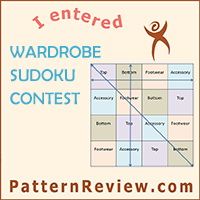 You can find everything there from vintage patterns to handmade items, jewelry, photography, blog templates, edibles, sewing, knitting, the list goes on and on. 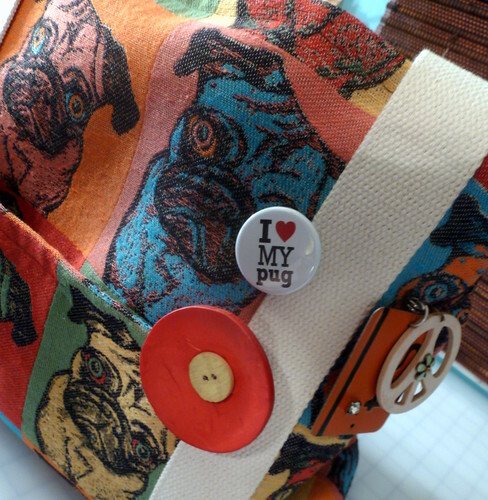 I often (maybe too much) buy handmade jewelry or vintage fabrics. Another great thing is that you are supporting small businesses. I've never been disappointed with any item I've purchased from Etsy. I've found the quality to be exceptional and the customer service of each shop the same. And I don't mind spending a few extra dollars to get quality handmade one of a kind items. 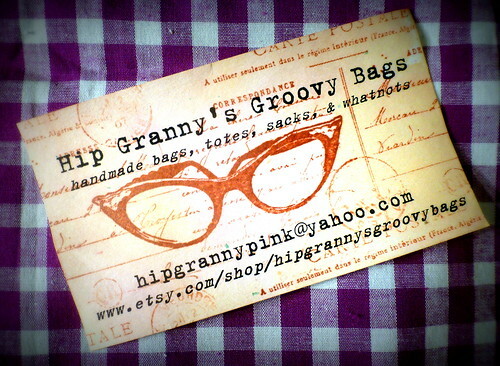 I purchased this bag from - Hip Granny's Groovy Bags, and groovy it is! 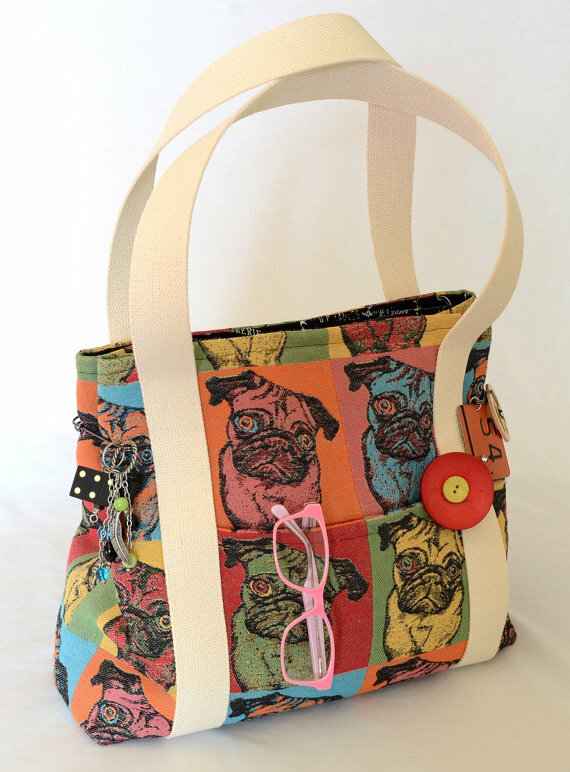 If your looking for a unique, one of a kind bag give her a looksie. I've fallen quite in love with the Funky blue bird bag as well. Any of you regulars on Etsy? If so what's your favorite item to search for or what's your favorite shop? Find any hidden gems lately?? Please share as I need more! What a ham! Yes Vito you still are the cutest pugger I know! Ermahgerd!! I want one!! What an awesome bag to take little Vito out!! So cute he begs!!! Love love love it!! That's so cute! I love how he is a little model <3 I'm having the same drama with the Sew For Victory pictures and weather.. how can I wear my sundress outside in the snow?! Dude that bag is SO CUTE!!!! ...not as cute as Vito though lol. He kills me! Look at that face! 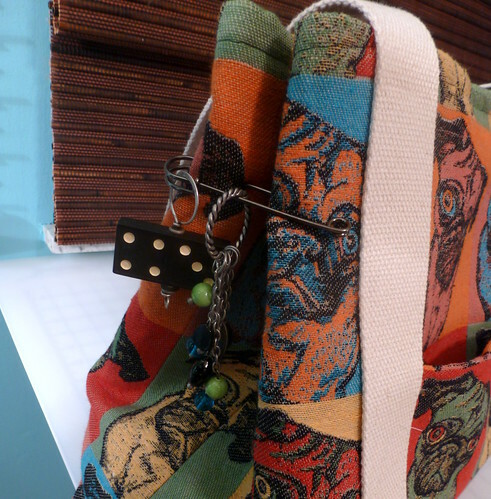 The bag is super cute, I love functional bags like that. But OMG that is a hilarious photo with you and Vito, I love it!! 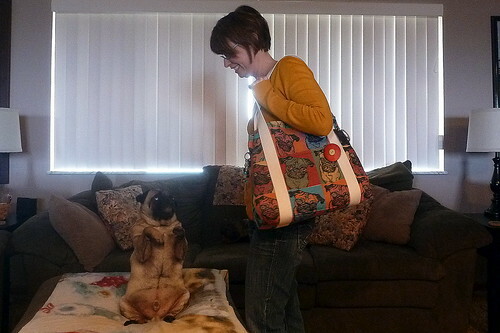 Lol, cute bag, and cute dog!